LIVERPOOL, England (AP) — Liverpool hired a private jet to get Brazil playmaker Philippe Coutinho back from international duty in good time for the Merseyside derby against Everton. It proved to be a worthwhile investment. 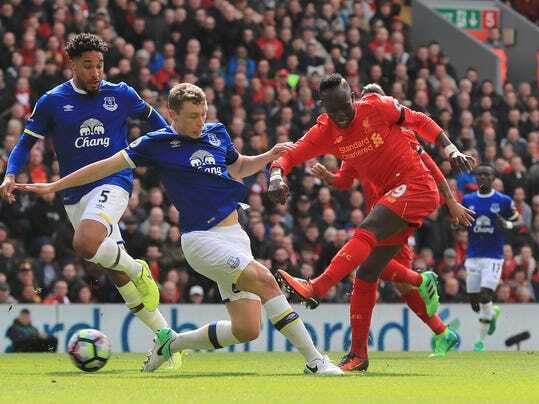 Coutinho helped the red half of Merseyside maintain its dominance of its neighbor with a spellbinding individual performance at Anfield, scoring one goal after a weaving run and also setting up substitute Divock Origi for the clinching third in a 3-1 win in the Premier League on Saturday. The standing ovation that Coutinho received after being substituted late on showed just what Liverpool’s fans thought of his display. No wonder Barcelona has been heavily linked with the attacking midfielder, who can be peerless in England’s top division on days like this.